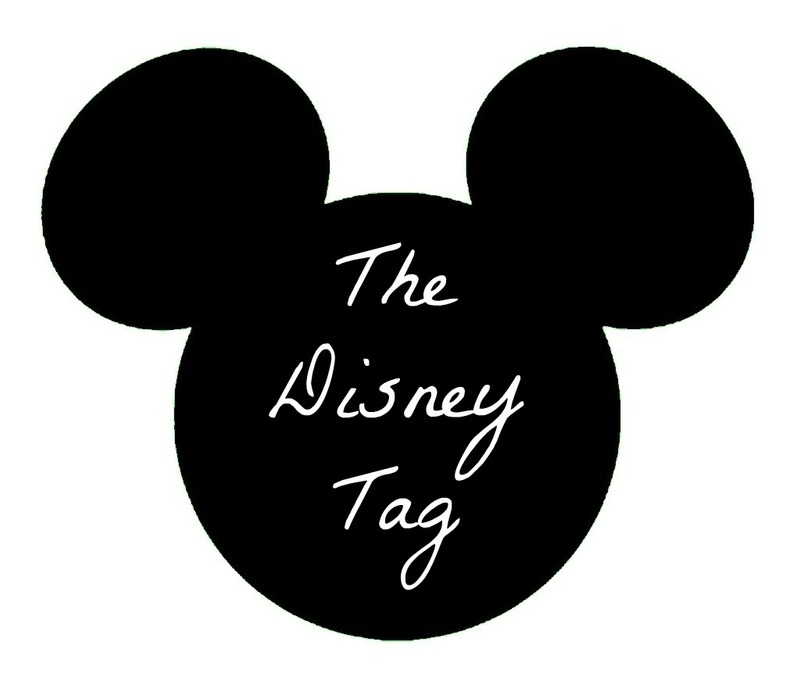 I'm re-visiting my childhood for this tag, covering all things Disney. I think everyone had a favourite channel as a kid - some of us were Cartoon Network, others were Nickelodeon. I was firmly in the Disney camp for many years, watching both its shows, and its films. I lost interest a bit when I got older, but when I was 15 my parents took us to Disney World in Florida, and I was reminded of all those films I loved, prompting me to go re-watch many of them. Now, seven years on, and I still love them and watch them, and even have a Disney playlist I put on every now and then. It was really hard to pick some of these answers though, since I like so many Disney things, and I changed my mind about a lot of them, and picked more than one answer for several... Anyway, here we go! Stitch because he's just so damn cute! Usually any sort of alien or mutant type creature freaked me out when I was a kid, but Stitch is fluffy and funny, and watching him try to understand our planet is just adorable. There's so many other great characters that I love (some included in the next few answers), but I have to put him at the top of the list. Lilo is also pretty great, as she's eccentric and spirited and naughty, yet so desperately wants to fit in somehow, which we can all relate to, and she's so open hearted and accepting, especially of literal aliens, making them a part of her family. As a kid, Ariel was always my favourite because I thought being a mermaid would be the best thing ever, but I never understood why she would ever want to give that up (I really liked her TV show, because she was still a mermaid then) - I still don't now either, when you actually look at how well she knew Eric! That naivety is why I wouldn't call her my favourite now - though I'd still love to be a mermaid! Then for a while Belle was my favourite, as I related to her the most, with her love of reading, and her desire for adventure. However, when Tangled was released, Rapunzel jumped up there as my other favourite, also because she wants adventures, but she feels a bit more realistic than the earlier princesses, with all her nervousness and her funny quirks. Ok, so to separate categories, I tried to split characters into who is royal and who isn't, as some of my favourite heroines and heroes are also princesses and princes! So for this one I'm going with Esmeralda. I think when I was younger I liked that she was this wild, free spirit running around the streets of Paris, and now that I look at her again as I'm older, I also admire her bravery and her selflessness in all she faces. I've got two favourites here again, as Aladdin was always my favourite for years, but then when Tangled came out, Flynn Rider immediately became another favourite of mine. It kind of makes sense, since they both have a lot in common, being rebels who break the rules (what does it say about me that they're both thieves? haha! ), but have hearts of gold, and who help Jasmine and Rapunzel find the exciting adventures they crave. Neither are born royal either, instead marrying into it, as I always found most of the born-princes to be pretty dull in the early films, with little real characterisation. Ok, again it was hard to pick one who wasn't also a prince, since the last question also contains my favourite heroes, but this time I'm going with Simba (ok, he is technically royal, but since I was sticking with human characters for the last one, it's allowed, ok?). I mean, who doesn't love Simba? He was adorable as a kid and straight up majestic as an adult. And having that moment of crisis in the middle, before making his grand comeback, makes him feel more grounded and relatable than the classic princely heroes. There are so, so many great animals in all the films, but Flounder was the first to pop into my head for this one, so we're sticking with it. He's the sort of best friend I think we all want, and need, being loyal and supportive even when he's worried or scared himself. I hardly need to explain why Timon & Pumba are just the best. Funny, crazy, and weird, and possibly the best foster parents a kid could have! They give Simba just what he needs too, time to heal and recover, and then although they are reluctant to let him go again, they ultimately pull through for their friend, helping save the day in a way only they could - I mean that hula scene, wow. There are some villains that I straight up hate, but then there are also so many Disney villains that have this alluring charm about them. I always thought Hades was pretty cool, which is probably helped by also watching the Hercules TV show that he was in too, so we got to see him be funny and sarky, and yeah, cool at times, as well as devious. For straight up evil badass though, it's got to be Maleficent though! Well it has to be Mickey Mouse, right? He's so iconic and is the epitome of Disney. I always remember instantly loving the statue of Walt Disney and Mickey in Disneyland Florida, which almost made me quite emotional actually. If you wanted a symbol of my childhood, look no further than that iconic silhouette. There's just too many! I mean seriously, Disney films have some of the best soundtracks ever. I Just Can't Wait To Be King stands out as a good one, which always gets me bopping away and singing along, but also Friend Like Me, I've Got A Dream, Zero To Hero, Colours Of the Wind, and Part Of Your World are all excellent choices too! I See The Light, because it's a lovely song, that scene with all the lanterns is just breathtaking, and Rapunzel and Flynn are also one of my favourite Disney couples, since you really get to see their relationship grow and develop, as they slowly understand each other. Be Prepared is pretty epic as all songs go, and as a villain's one, it is both terrifying and awe-inspiring at the same time. Come on, how adorable and iconic is the spaghetti kiss from Lady & the Tramp? It's so unique compared to most other kisses, and no one ever forgets about that scene. I am also quite fond of the balcony scene in Aladdin, which is very romantic of course, and I think we're all rooting for Aladdin to win over Jasmine - and don't you wish you had a magic carpet to help you out sometimes? Not a clue! It honestly could have been anything, since I would have been pretty young at the time. It was probably from the Disney Renaissance era, since I was born in the 90s, possibly The Lion King or The Little Mermaid, but I really don't know for sure. Update: my mum is pretty sure it was The Little Mermaid, at the very least she says it's definitely the on I watched the most (see question 2). The Lion King or Aladdin or Tangled, I can't choose between them! They've all got great stories, great songs, characters I really like, funny sidekicks (seriously, can I have an Abu or a Pascal please?). The first two have been my favourites since childhood, and then I think there was a Disney lull for quite a few years, but as I mentioned in my earlier character questions, when I saw Tangled it instantly shot up to being one of my favourites. As said in question 15, my mum says my favourite was The Little Mermaid when I was a kid, but I find it somewhat problematic how Ariel gives up everything for a guy... and I never understood, then or now, why anyone would give up being a mermaid (see question 2)! Finding Nemo I think. I never like the Pixar filmed quite as much as the classics, but I've seen my fair share of them, and since I've always like swimming and the ocean, Finding Nemo appealed to me a lot. Oh, and I just remembered Crush and Squirt! Oh they're great, such good characters! The Lion King II and 1 1/2. Some Disney sequels are just a bit pants really, but there's a few of them that were really good, and I think The Lion King's are both pretty well done. The storyline of the second film, about how you are not your parents is a very important one, to show that we can be more than where we come from. And the third one is just hilarious, getting to see the first film again but from Timon & Pumba's perspective - genius! Frozen. I honestly, honestly do not get why this one is such a big deal. Like, it's ok, I don't hate it, but I don't think it was anything that wonderful. Can anyone explain this to me? A lot of these films have scenes in them that make me laugh, but one that jumped out was The Aristocats, since it has so many. The kittens playing the piano, Roquefort the mouse joining them to eat his crackers, the conversations between the dogs, the geese waddling their way to Paris, the band of alley cats... so many great moments! Lilo & Stitch - that scene with Stitch in the forest with the Ugly Duckling book and realising he wants a family? Bawling my eyes out. Lilo being an orphan in a "broken family", as she says, and then almost being taken away from her sister too? Bawling my eyes out. Lilo and Stitch creating their own eccentric, weird, alien ohana? Bawling. My. Eyes. Out. I wouldn't say there are any scenes in Aladdin or Tangled that are particularly sad, but The Lion King has Mufasa's death scene, and if you aren't emotionally scarred from watching that when you were a child then you must have no heart at all. Also, see questions 20 and 22 for my emotional response to Lilo & Stitch. Is there anyone out there who isn't going to answer this with Mufasa? I mean, Simba witnessed it happen, and then we see him trying to wake his father up, before realising the truth, and the whole thing is just completely heart breaking. I would also like to mention Ray's death, from The Princess and the Frog (also somewhat of an underrated film), which is not as bad as Mufasa's, but it's still a very emotional scene. "All our dreams can come true, if we have the courage to pursue them" - Walt Disney. Ok, it's not from a film, but rather from the man himself, but it's such a great quote, that all of us should try to remember. I've only been to one, which was the Disney World in Florida, where my family and I stayed for a week. It was so magical and awesome though, and reawakened my love for Disney, which had declined in the preceding years (coinciding with Disney's less successful years actually now I think about it, since I in '09). See some of my pictures from it here! Big Thunder Mountain or Test Track both stand out from my memories of the parks. I'm scared of heights and going upside down, which rules out a lot of big roller coasters for me, but I love going fast, so these were right up my street. Big Thunder Mountain is fairly tame, but I still remember enjoying it a lot, and Test Track had me a little nervous beforehand, because of the angle the track is at, but it was so much fun once we were on it. Fantasmic!, in Hollywood Studios, was so grand and epic and spectacular, and was definitely a stand out moment from the whole trip - lights, water displays, special effects galore, made even more impressive by taking place at night, and it really captures the whole spirit of Disney, especially with Mickey as the star. It was also one of the last things we did in Disney, making for a truly grand finale. The Festival of the Lion King was also fantastic, since it's one of my favourite films anyway, and seeing all those amazing costumes and those wonderful songs performed live was just wonderful. This show is also probably the reason I pestered my mum for months about taking me to see The Lion King musical when it came to Edinburgh a couple of years ago, and that was also spectacular, one of the best shows I've ever seen.